Important information about employment law related news, updates to the firm, helpful resources & more! Yesterday Kaitlin Spittell moderated a conversation on race and white privilege with fellow PELA member Jennifer Robinson. We are proud of the work that Kaitlin is doing in this space; her thoughtful efforts in addressing these complicated issues have established her as a role model among her colleagues. Fair wages are worth fighting for. We support DPS teachers! The annual SiX #FightingForFamilies Week of Action is a national effort to highlight the work of legislators to create an economy that works for all. Millions of working Americans are just a paycheck or two away from financial ruin. If their only leave option is unpaid, it can force them to sacrifice caring for themselves or a family member. We support legislators that are working to advance paid family and medical leave policies that help level the playing field. Working on legislation for paid family leave this morning. Proud to be working alongside some amazing advocates - Karla Gonzales Garcia and Neha Mahajan. If you are not being compensated fairly, you need a team that will fight for your livelihood. It is so great to see that this year’s march is focusing on a “more inclusive mission by planning a more diverse event and addressing a broader spectrum of women’s issues”. The Womxn's March is January 19th, 2019 at 10:30 at Civic Center Park. Q: How many nooses are hanging in your workplace? * = Call us. We fight for the right side of history. The kids of today are the employees and employers of tomorrow. Today we joined the CWBA at their Annual Legislator Appreciation Breakfast. Katica Roy from @PipelineEquity gave a moving presentation on the economic opportunity of resolving pay inequality. We appreciate all the Legislators who are already gearing up for a very busy session. We’re excited to continue working toward a brighter future for Colorado’s employees! Contract workers and freelancers have few legal rights, compared with those hired as employees. Under federal law, a contract worker lacks the right to sue for sexual harassment or gender discrimination, for example, because workplace civil rights laws do not apply. As the economy evolves, we need to update the laws so that all workers are covered. Forced arbitration allows perpetrators and companies to avoid serious consequences by keeping complaints private. The employer pays for the judge, in a secret court, and employees have no access to an appeal. Arbitration is inappropriate for all workplace violations. #pregnancydiscrimination is real no matter what your income level. Blatant or subtle, it has a devastating effect on working mothers, their families, and the economy. Now is a time to stand together and join with other like-minded communities to respond to purveyors of fear and hate. They will never succeed and we will not be silenced. Many employees feel that they do not need an attorney until they are involved in the EEOC/CCRD process. Some think it will be more cost effective to go through the process on their own. Talking to an employment law attorney before going to the EEOC or CCRD can significantly influence the chances of settlement and/or litigation. Please share this message with anyone you know thinking about filing a claim and have them check out our blog post: Common Mistakes When Filing with the EEOC for more information. The stories in this New York Times article are completely unacceptable, and sadly we have heard stories like this here in our office. That is why we fought to get the Pregnant Workers Fairness Act in place in Colorado, which requires employers to provide reasonable accommodations for employees who are pregnant, physically recovering from childbirth, or a related condition (like expressing breast-milk). Click here for the notice that your employer should have posted somewhere. As reported in the New York Times, the Trump administration is planning a drastic move that will eliminate civil rights protections for nearly two million transgender, non-binary, and intersex Americans. We stand with a broad coalition of civil and human rights organizations in opposition to this heartless policy. LGBTQ rights are human rights. Speaking up takes courage. This story is all too familiar. A former employee was sexually assaulted and then fired in retaliation for reporting the incidents. The company interviewed no witnesses other than the male employee in question. In both instances, the male employee professed to be too drunk to remember. Then the company said she was fired because of performance. This type of treatment has to stop. At Livelihood Law, we work to hold employers accountable for their biased investigations. Livelihood Law had a wonderful time celebrating the DU 8 honoring their courage and advocacy in the EEOC lawsuit on behalf of gender pay equity. We are proud of this effort and inspired to improve Colorado’s equal pay laws. National Coming Out Day (October 11th) is a time to celebrate coming out as lesbian, gay, bisexual, transgender, queer, or as an ally. Today marks the 30th anniversary of National Coming Out Day. When people know someone who is LGBTQ, they are far more likely to support equality under the law. Every person who speaks up changes more hearts and minds, and creates new advocates for equality. 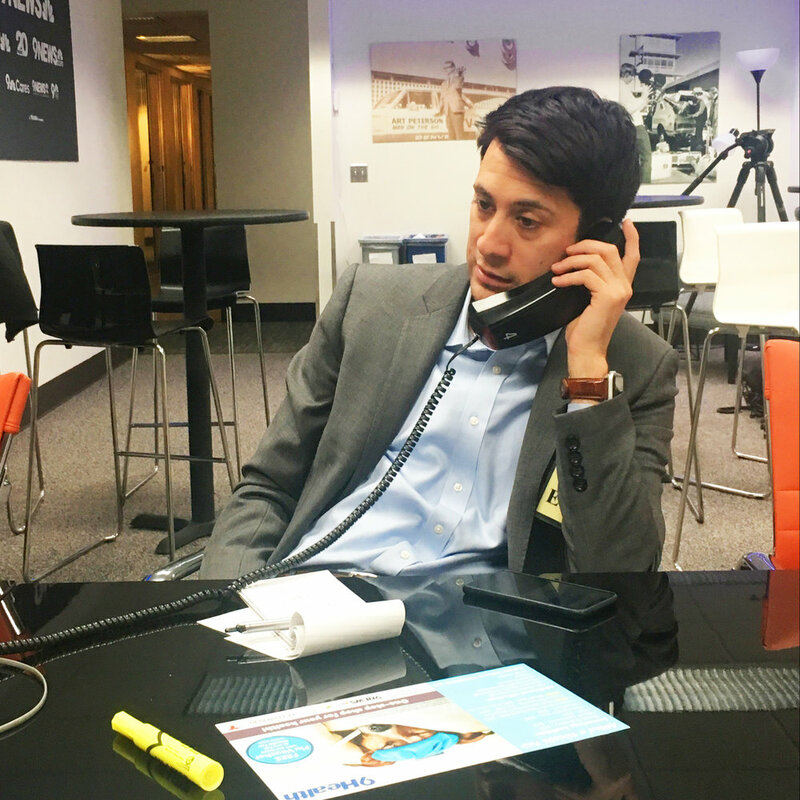 Newest attorney John Michael volunteering at Law Line 9 taking calls from the local community. This organization even offers Bankruptcy and Divorce clinics. Click the learn more button below for more information and the schedule. Google has recently been advertising their free online certification classes throughout Denver. We often see clients that are worried that their age will be held against them, especially in the tech industry. If you are over the age of 35 and want to work in the tech industry, this might be a great way to get your foot in the door with Google or other IT positions. Rachel spoke at the 2018 Colorado Bar Association’s Employment Law Conference on Ageist Stereotypes. We know that age discrimination is rampant in the workforce, and tremendously under reported. If you feel that your age is being held against you at work, contact us to find out what your rights are. We hear you. We believe you. We will fight for you.